Pay attention to the new server categories, as it affects this and future applications. Can check others inventory and enderchest. - Atleast 8 hours of server activity per week. - Join the forums at least once a day. - Knowledge of your server's modpack. - You must be mature when dealing with situations and fixing problems. Think before you act. - Excellent knowledge of the server rules. "Sponge" Which will refer to our Revelation, Direwolf20 1.12 and Continuum server. "Sky" Which will refer to our Skyfactory 3, Skyfactory 2.5 and Sky Adventures..
"Network" Which will refer to our vanilla Network Servers. **You must live up to how many hours you say you will play. Can you join the forums everyday? : I practically have been for the last 2 years now... It's not that hard to keep up. How long have you been playing on the Crafter's Land servers? : Jeez, I cannot quite remember when I first joined. I think it’s nearing the 3 year mark, perhaps even 4 years. I used to play on SF2.5 for a long time before making a forum account as i never ran into issues i deemed important enough to warrent an account. On average, how many hours do you play a day and during which part of the day? **: It really depends on my scheduled hours. I cannot guarantee more than 1 hour a day average during the week, but this can be a couple of hours during weekends. Have you read and understood the responsibilities of the position and permissions you receive with this rank? : Yes, I still know the whole bookwork from the top of my head. On a scale from 1 to 10, 1 being Nothing and 10 Being Absolutely Everything, how well do you know the mods and contents of the Modpack? : Somewhere between 8 and 9, there's always things i have yet to discover and learn. What can you offer us if you were chosen? : An experienced staff member who can follow protocols and deal with pretty much any situation thrown at me. Aside from this, I'm quite good at quelling hostile behaviour and solving matters in a peaceful way. Have you ever been banned and if so, why? : I have not, at least not as far as I can remember. Strengths are within my ability to solve complex problems and fairly quick response to problems. Experience is also one of my strengths, I’ve got a fair bit of that backing me up. I'm quite good at troubleshooting and got a quick grasp on new things. And for weaknesses… Well, I’m quite irritable when it comes to immature behaviour. I tend to struggle with picking up on sarcasm and cannot stand continued annoying behaviour that goes unpunished. What experience do you have as a staff member? Exemplify: I've been staff on Craftersland for over a year. I doubt i really need to prove this But aside from craftersland i've done a fair share of other servers. all with varying amounts of active playes. Do you have a screen recorder? Are you willing to download and use one? : I've always got recording software on stand-by. What suggestions would you like to see from us and how can you help us improve the server? : I highly recommend someone that deals with internal staff affairs, checks activity (not just online time, but actual behaviour and solved issues), This goes for in-game, forums and discord behaviour. How much do you know about the helper rank? Elaborate: (permissions, usage, principle/concept): Helpers are a new kind of slaves, right? In all seriousness though, Helpers are primarily in-game chat moderators with limited powers due to it being a trial rank. The rank poses as a first trial to see how moderation is handled and if the person is capable of handling the power granted. What knowledge do you have of how the staff operate today (communication, coordination, activity)? : I’m not how sure has changed in my absence… Most communications are done via discord, combined with a place to store evidence. General coordination is achieved by GMs sub-managing lower ranks and advising them on situations and course of action and the activity is anything from chat moderation and helping with issues players may run into to catching rule-breakers and advising managers of bugs/issues only they can resolve. Hope that covers most of it without giving away any confidential information. You see a player abusing a glitch, what do you do? : First off I would gather evidence of them (ab)using a glitch, then proceed to check if this was intended or a mere accident and from there on out I would find an appropriate course of action. If it is a case of abuse, I would ask an Admin or GM to first check out for further evidence or setups and then to regenerate the base. A player lost his items due to a server crash, what do you do? : I would check if the player can remember what items they had on them. If they do, I would help them towards creating a refund request. If they do not, I would redirect them towards a rollback request. How would you handle a situation if you got targeted by trolls? : If they are not breaking any rules, I would ignore it. If they do happen to break one of the rules, I would check which one, gather evidence and hand out an appropriate punishment. A player is speaking a foreign language in chat, what do you do? : I would attempt to make them aware that global in-game chats are English only. Were this to fail, I would try to communicate the same message in their own native tongue (if possible) via private messaging. And, if this would also fail as a result of , I’d have to hand out a warning for rule 7. (and eventually a temporary mute if need be). What can you offer us if you were chosen? : Have been part of staff teams before for other communities so have experience in handling and dealing with people and helping them out. Also, have developed for other community and am willing to look into how it all works in Minecraft to further help people with things such as crash logs etc. A short description of your strengths and weaknesses: I can get agitated when people are being ignorant/haven't read up on how to appropriately get help. E.g. people pinging @moderator in the discord for a specific server. I don't even get pinged but that style of things annoy me. A strength is I can get on relatively well with most people. What experience do you have as a staff member? Exemplify: Was in a similar role to Helper for a gaming community for Arma 3. played with them for over 1000 hours and joined their development team and helped to maintain and update their servers. Sadly the community has slowly ground to a halt and isn't what it once was. What other modpacks/gamemodes have you played? Elaborate: Played most FTB packs, and have played on every Crafterlands server at some stage bar continuum. Also played other packs such as Enigmatica 2 Expert and Modern Skyblock 3. Where do you see yourself as a Crafter's Land staff member in the future? : Hoping to progress up to moderator and seeing what it is like up there and then deciding if I want to progress into madness any further. What suggestions would you like to see from us and how can you help us improve the server? : Fix the tps :P, but on a more serious note I think the modded servers are doing excellently, maybe just network needs a touch up to bring some flare and maybe some new players in. How much do you know about the helper rank? Elaborate: (permissions, usage, principle/concept): As far as I can see it is a mini moderator to suss out who is good when it comes to moderation. It is mainly just there to answer questions or to provide help where a moderator/GM isn't necessary and to help take the load off of the higher-ups. What knowledge do you have of how the staff operate today (communication, coordination, activity)? : I would presume that most if not all communication is done through discord with the roles. Guessing each staff member gets help from the role directly above them as to what to do and sometimes even higher up on some occasions with the server managers.... managing their respective servers and allowing the managers to do the behind the scene work with as little worry about what is going on inside the server as possible. You see a player abusing a glitch, what do you do? : First I would start recording what they are doing then warn them what they are doing is abuse and is breaking a rule. If it continues to happen then I would contact whoever was online that could appropriately deal with it with the details of what was happening and show them evidence and allow them to follow up with kick/warn or whatever was deemed necessary. A player lost his items due to a server crash, what do you do? : I would direct them to the inventory rollback or the refund request sub-sections depending on what they can remember having. How would you handle a situation if you got targeted by trolls? : Personally, I don't care at all about being trolled, I have been on the internet too long to be affected, so if it is harmless I would simply let them enjoy themselves. But I would still record them doing their trolling and let somebody know that they are showing this kind of behaviour, in case they decided to target anyone else other than myself. A player is speaking a foreign language in chat, what do you do? : I would ask them kindly to refrain from using other languages other than English, and maybe ask them to do it in pm's instead, but if they continued to do so then I would warn them and mute if I have to. Languages you speak: Romanian and English fluently and I can understand German. Can you join the forums everyday? : Yes I can. How long have you been playing on the Crafter's Land servers? : I have been playing for nearly 5 years,most of my time spent on the Network community and then 1 year staffing and playing on the modded community. On average, how many hours do you play a day and during which part of the day? **: I can play at least 1 and a half hours,3 at most.I know inactivity was a big influence on me getting kicked last time I was staff,because I couldn't get to my computer as my sister needed to study,however this Sunday I am going to get a new desk and will be able to play at will. Have you read and understood the responsibilities of the position and permissions you receive with this rank? : Yes I do as I have been in this position before. On a scale from 1 to 10, 1 being Nothing and 10 Being Absolutely Everything, how well do you know the mods and contents of the Modpack? : I would say a 5-6 as I discovered this modpack recently,however I am still discovering and willing to help other players as much as I can. What can you offer us if you were chosen? : I can offer a strong,mature and well-organized staff member.I will help other players and staff in need,and punish the ones that do not obey the rules. Have you ever been banned and if so, why? : I have been banned just 1 time for spamming on the Network community,and never on the modded commnunity. A short description of your strengths and weaknesses: My weakness is that I sometimes go "on a spree".I know that I might've showed a little bit of immaturity for some of my last days in staff,however that side is gone and I want to start a clean page.I can defuse situations,help others in need,offer a strong asset to the team and organize. What is the one thing you can improve yourself upon? : As I've said,I need to learn to "chill myself" at certain moments. What experience do you have as a staff member? Exemplify: Aside from the MCPE server I ran a while back,I have staffed this community for almost a year on Revelation,got to the rank mod,retired due to school,and then got to the rank admin. What other modpacks/gamemodes have you played? Elaborate: I have played Vanilla for 4 years,Revelations,Forever Stranded,SkyFactory 3 and Stoneblock 2,being the most recent.I have a knowledge across all of these modpacks and I find them quite interesting. Is there a mod in which you excel at, if so, which one and how? : I don't exactly excel at any mod in this modpack however,I can offer a hand in most mods and will do my best in order to. Do you have a screen recorder? Are you willing to download and use one? : I do have a screen recorder,OBS to be exact and I am willing to use it in case of any unfortunate series of events. Where do you see yourself as a Crafter's Land staff member in the future? : I hope this time I can get myself to GM,unlike last time.Helping players and punishing rule breakers,accompanied by friends,both staff and players. What suggestions would you like to see from us and how can you help us improve the server? : I would like to see maybe little cosmetic tweaks to the server and maybe better organization. How much do you know about the helper rank? Elaborate: (permissions, usage, principle/concept): The helper rank is more of a trial rank to see if a staff member is worthy and trustable.The only "major" perm you have as a helper is warning,usually instructed to do so by higher staff.Over the course of the usually a month you will stay helper,higher-ups will study your activity and see if you deem worthy. What knowledge do you have of how the staff operate today (communication, coordination, activity)? : I don't know if I can leak anything or not(if it hasn't been already)..I'll just leave it at the fact that I know there is a #staff channel on the main discord. You see a player abusing a glitch, what do you do? : In case I see a player abusing a glitch,as a helper I pull out my OBS,and get as much proof as I can while telling him to stop.In case he does not,I try to get the server to kick him by issuing multiple warns while sending the "proof" to a higherup so they can punish the player accordingly. A player lost his items due to a server crash, what do you do? : If a player sadly loses their items to an evil server crash,I shall redirect them to the server's specific section for refund requests in case of little amounts of items,and to the inventory rollback section in case of high amounts of lost items,and also give them the link to the template while explaining how the forum works. How would you handle a situation if you got targeted by trolls? : In case I got targeted by a troll,I will kindly ask them to stop.I would issue a warn in case they spammed the chat,if they just PMed me,I can just /ignore them,in case they grief me,I shall send proof to a higher-up because as a helper you cannot issue bans.I can also resort to tempmutes in case a warn doesn't cool them off. A player is speaking a a foreign language in chat, what do you do? :﻿ If I see a player speaking a foreign language in chat,I will kindly ask them to go to their clan chat or go to PMs,as it might have just been a missunderstanding.In case the player genuinely thinks they can speak a language but English in general chat,I will kindly tell them that it is against the rules to do so.If they continue,I will warn them. After further dialog with staff, I'm putting my application back into the fold. Apologies. Do you have a microphone? : Yes, but rarely use voice. Maturity, willingness to help, coverage of a unpopular timezone, broad technical (I'm pretty much a techonologist, managed financial trading systems, operating system for over 2 decades, now a solution architect) and gamine skills (been play games for decades, some for a decade - eve online.). Not for direct actions, i was temp banned once on AJGaming as their server software does that when it detects an issue with a block and doesn't want repeats. Strengths - I'm generous with my time and assets ingame.. probably too generous (there's my main weakness also). Other strengths is are a willingness to learn and a persistence to keep going until I do - it's how i ended up in my job role. 1. I'm not particularly into attention to detail ingame, more function over form.. my islands etc. tend to be bare bone looks with tech everywhere. 2. Im not an avid voice person, but having played many mmorpgs willing to change. None. I'm not going to butter this up, this is a learning experience for me as much as game itself. Played VoidPack, All In One. Became frustrated with both because of extreme pay to win. (In voidpack was told sponsor $100 and you can have a chunkloader.. didnt take it too kindly). Love drac, it's prinicpally end game. I use a MAC so Quicktime natively records screen, willing to use others if requested. Sounds like a classic interview question to which most would answer 'in your job'. Truthful answer is GM would be nice but I'd be happy to operate at any level, if none. I'd like to see more formality given in response to bug statements/help requests, i come from a formal Finance IT environment, guess that's why. Only from what i've seen ingame and read above, in truth seems rare to see any rank apart from GM. Was described as a trial role in one place, fine by me if I don't meet the standard would happilly accept the outcome but am willing to learn. Here, little apart from the tools you use - Discord, Forums etc. Validate, Report, Warn, Escalate. Kinda depends on the nature i.e. using a glitch to save time travelling is much different to using a glitch to copy expensive items. Advise of the process. In my work training, it's a case of acknowledge, sympathise, advise and follow up. Advise to speak english, follow by warn and escalate, again am assuming there would be some kind of process/proceedure written for consistence, else would help form one. Can you join the forums everyday? : Yes. 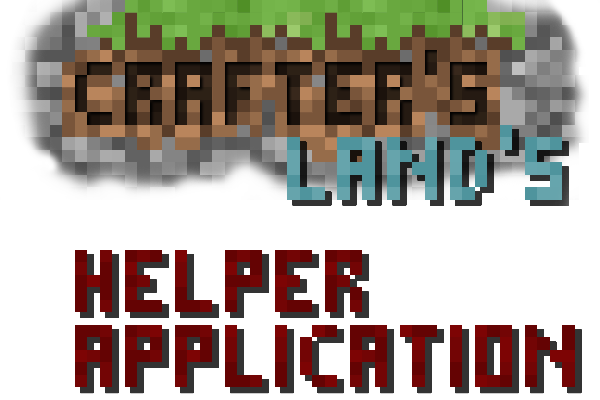 How long have you been playing on the Crafter's Land servers? : About 2 months. On average, how many hours do you play a day and during which part of the day? 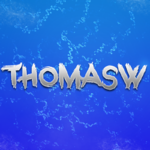 **: I play about 4 hours a day on weekends it would be between 12-4 and weekdays between 4-8 GMT. Have you read and understood the responsibilities of the position and permissions you receive with this rank? : Yes I have fully read through and fully understand the capabilities of the helper rank. What can you offer us if you were chosen? : My willingness to help people I absolutely love helping people because it gives me gratitude and my communication skills are at the top of their game. Have you ever been banned and if so, why? : Yes, I have been banned thrice 1 time for abusing dupe bugs 2nd for kill aura and 3rd for anti-afk. Strengths - I Love to help people which means I put a lot of time into helping people until whatever is wrong is right or even until they understand. Weaknesses - I can get frustrated quite easily if something doesn't work. What is the one thing you can improve yourself upon? : I could definitely work on my patience as I can start to get frustrated and worry very quickly. What experience do you have as a staff member? Exemplify: I was staff on a tekkit legends server and help them build and was very familiar with the mods I was playing aking a good admin on the server. What other modpacks/gamemodes have you played? Elaborate: I play SF2.5, Sky adventures, tekkit legends, agrarian skies and stone block 2. Is there a mod in which you excel at, if so, which one and how? : Draconic Evolution, I excel at this modpack as it intrigues me in everything it does and so I have closely followed it for a long time now. Do you have a screen recorder? Are you willing to download and use one? : I do have a screen recorder and yes I am willing to use one. Where do you see yourself as a Crafter's Land staff member in the future? : I would love to be in a position where I can help players and the server overall or even build things for them so my rank I would love to see myself as would be an admin or builder. What suggestions would you like to see from us and how can you help us improve the server? : I think I could help out the server with a consistent schedule and my patience to build meaning I could create massive structures. How much do you know about the helper rank? Elaborate: (permissions, usage, principle/concept): The helper rank is not something I am familiar with but I am pretty certain it does not contain perms to ban or mute players but does give you permission to warn them and contact a higher up a lot easier, i also understand that it is a trial rank to see how well you do/are at being staff. What knowledge do you have of how the staff operate today (communication, coordination, activity)? : I know that the main source of communication is through discord and that in discord it is coordinated properly and you discord rank will say specifically what server you help/admin. You see a player abusing a glitch, what do you do? : I warn the player that what they're doing is not allowed and give them a chance but also keeping a close eye I also screen record as evidence then alert a higher rank of what is happening. A player lost his items due to a server crash, what do you do? : I advise the player to ask a higher rank or restart and I will give them some help to get back on their feet. How would you handle a situation if you got targeted by trolls? : if they target their behavior towards me but if it then towards the chat or other staff I warn them and tell them to stop if the action carries on I contact higher rank/admin. On average, how many hours do you play a day and during which part of the day? **: The last few days have been easy 6 hours a day, maybe more. I am on from the morning some time. Or at night. What can you offer us if you were chosen? : Support during the day on South African time. I rarely see any staff on when I play. A short description of your strengths and weaknesses: Very "staffy", been an admin on a MC classic server for ages. What is the one thing you can improve yourself upon? : Terrible builder, not the best as an example for building. What experience do you have as a staff member? Exemplify: Admin on a MC classic server, for many years. Used to be admin on 2 MC servers that shut down, the one was Au70 Survival, many years ago, can't remember the other's name. What other modpacks/gamemodes have you played? Elaborate: Way too many to recall, I have been playing modded MC from 1.2.5, started on the original Tekkit, I believe. Also play a ton of Skyblock modpacks with the wife. Is there a mod in which you excel at, if so, which one and how? : Technical mods, I love automating stuff. Do you have a screen recorder? Are you willing to download and use one? : I use the Nvidia recorder, but willing to change if there is a better one. Where do you see yourself as a Crafter's Land staff member in the future? : Yeah, loving the server and keen to make it even better. What suggestions would you like to see from us and how can you help us improve the server? : Maybe a better player market, as in a warp. The current market seems a bit buggy. How much do you know about the helper rank? Elaborate: (permissions, usage, principle/concept): Appears to be a basic staff rank, basically an assistant to the actual staff members. What knowledge do you have of how the staff operate today (communication, coordination, activity)? : Most server I have seen, have a direct staff chat channel, that the other players cannot access. You see a player abusing a glitch, what do you do? : Immediately screen capture and make a note of the name, contact the correct staff members to ban the user. How would you handle a situation if you got targeted by trolls? : Best way to deal with Trolls, just don't feed them. Ensure that I make a note of the player name, as I would have to have the evidence if anything happens. A player is speaking a a foreign language in chat, what do you do? : Request that they speak to their friends in direct messaging, as the main chat is only in English. What can you offer us if you were chosen? : I enjoy working hard, and I enjoy meeting new people. I try to help the community when they ask questions, and I've dropped one of my projects to troubleshoot their problem on numerous occasions. I am a friendly person, and love puzzles and solving conflicts. A short description of your strengths and weaknesses: Strengths: Friendly, helpful, always willing to learn, extremely patient. Weaknesses: Low tolerance for bull, still learning of a couple of modpacks, and new to craftersland specifically. What is the one thing you can improve yourself upon? : I could improve my general tolerance for immaturity and overall annoyances. What other modpacks/gamemodes have you played? Elaborate: I fell in love with skyfactory a long time ago, and haven't gotten the hang of any other modpacks. The community is small and mature (I find), and everyone is usually very considerate and helpful. Is there a mod in which you excel at, if so, which one and how? : I love the big reactors/extreme reactors modpack, specifically with optimal reactor builds and layouts, and how to maximize energy production. However, I am currently obsessed with draconic evolution and can't wait to learn more about it. What suggestions would you like to see from us and how can you help us improve the server? : I would like to see more staff involvement in-game (which is what I personally am trying to create with this application). When I was new to skyfactory, I asked tons of questions, and 9 times out of 10, there were no mods or helpers on to assist me (this was not on craftersland, previous experience). How much do you know about the helper rank? Elaborate: (permissions, usage, principle/concept): I believe that helpers primary roles are to assist community members with issues, assess and report in-game bugs, and coordinate with the community that keeps craftersland afloat. What knowledge do you have of how the staff operate today (communication, coordination, activity)? : I recently joined the craftersland discord server, and the staff involvement seems phenomenal. The community is very active, and scrolling through the technical issues channel enlightened me to how helpful the staff is. You see a player abusing a glitch, what do you do? : Tell the player to stop abusing said glitch, and verify that they're aware both of the glitch, and of the consequences. Assuming they continued, I would turn on my screen recorder and send the gathered evidence to a superior. A player lost his items due to a server crash, what do you do? : If a player lost their items, I would give them the link to the forums, and explain that they can request item refunds if they lost an item of value. If it is something small (ex. a stack of cobblestone) then I would either give them some of my personal island's supply, or direct them to the spawn shop. How would you handle a situation if you got targeted by trolls? : I would follow the rules section of the forum, and first give a warning, followed by a 5 minute mute, then 30 minute mute, and then a 60 minute mute. If the problem persisted, I would contact a superior with more authority. A player is speaking a a foreign language in chat, what do you do? : I would politely ask that they speak English in the global chat, and they are free to speak whatever language they;d like in private messaging. Worst-case scenario, they would have to be muted for ignorance of my request.